I'm at the stage now where feeding an infant involves much more than a bottle with some milk in it! Recently I was sent some great feeding products to review from a company called Oogaa. This company has some fabulous feeding products. I love their unique bowls and spoons! The spoons have little bumps on the bottom so they rub little gums. Plus they are shaped like steamboats and airplanes. Plus, they are all about creating products that is healthy for the environment, not filled with toxins like BPA to phthalates. That is a GREAT sign for sure! 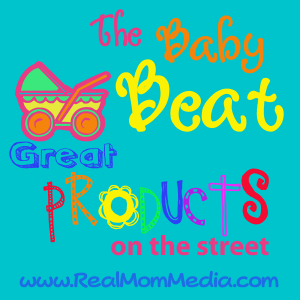 They are an up and coming brand so your best bet to buy the products are on their website, Amazon and some Babies R Us stores. There is a product on the market, that we got to review in our house, that is all about the big "J". A tasty one at that. AND an AWESOME conversation piece!! The Grilled Cheesus sandwich press is available in stores and online for about $40. You're kids' will love you for it. But, in the meantime I enjoy taking him to this local candy store in Philly. It's actually in Conshohocken. And I know going in-that I'm gonna eat more than him. But I also know exactly where he's heading when he gets in the door! This kid LOVES BottlePops. A TON. The folkd at Bottle Pop sent me a few of them and well. I have a VERY HAPPY little boy. They have Rattlerz out now-which I didn't know about before. They're awesome! Big fan in our house. If you haven't heard of them-head to their interactive website to have fun & learn more! We live in a townhome so finding a secure place in the back yard to grow any goodies is virtually impossible! I've always wanted to plant tomatoes but never got around to it. I remember my mom growing a garden as a kid. And I honestly never thought about doing one with Boston since we don't have a backyard. But now? I can do it in the kitchen! Wahoo! My friends with Miracle-Gro kids sent me this absolutely adorabe mini greenhouse kit to make sweet pepper. Yum. My favorite! Ok-we'll keep you posted on our growth! Have you ever done this with your kids? Disclosure: These products brought to you by Miracle-Gro® Kids Gardening Sets by Peachtree Playthings®. They are intended for children 5 years & up.